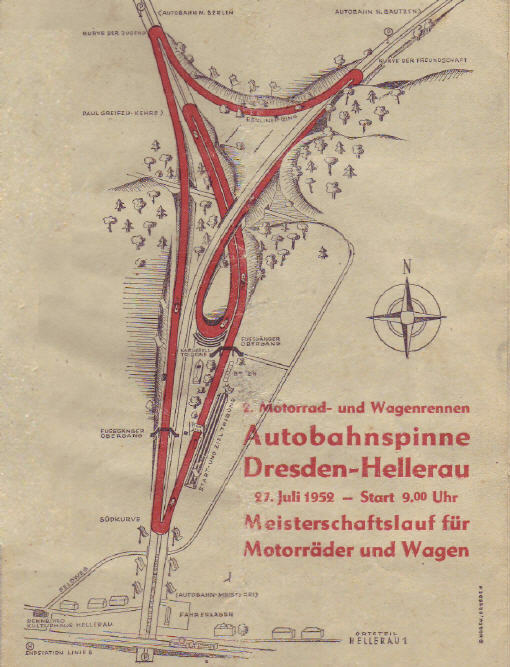 The Autobahnspinne in Dresden-Hellerau was an international racing course from 1951 to 1971 for motorcycles as well as automobiles. 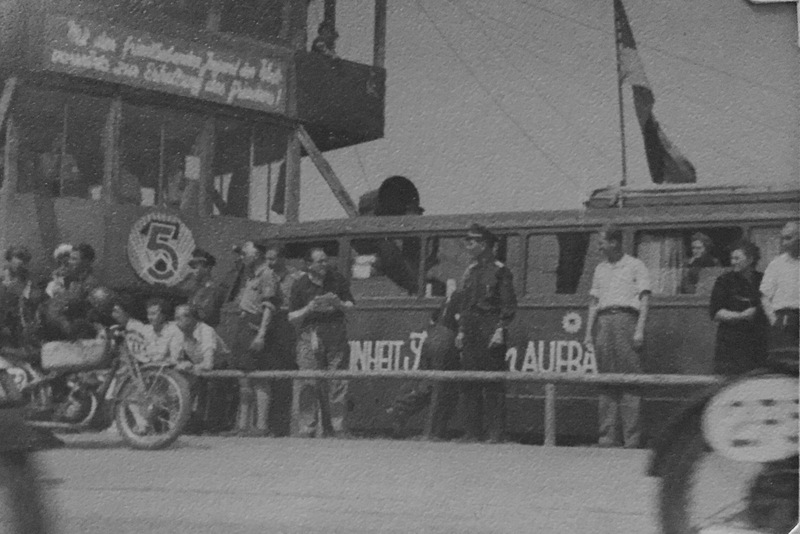 The racing circuit had a length of 6,443 km and was used for the first time during the championship races of the former German Democratic Republic in 1951. Race drivers of different race classes competed against each other and the famous driver Paul Greifzu won in the highest automobile class with his self-constructed BMW. Herbert Körting started in the class for motorcycles with starting number 273 and was competing for the first place ones again. Thousands of visitors could enjoy a breathtaking racing spectacle in Dresden as it is documented on various images. At the end, Herbert Körting finished once again among the top five racers with his DKW. Currently, the race track and the history of it is still being celebrated by passionate racers in Germany.